Hey all. Age here with some news on the blog and life stuff. I recently finished off the LoL Basics guide series and I took a break just to catch up on IRL things. So right now, I’m gonna let you know a few things that are going down. Day time job is ok, same stuff as always. When I get home from work it’s either I’m writing some thing up for Gamebreaker or I don’t. If I don’t I chill out with games or something or prep for this blog. Weekends really depends. Sometimes I go out, sometimes I stay home. I want to start streaming more LoL and GW2 but for LoL I have to train a bit more with my new mouse and get better as a whole. There’s always room for improvement. I’ll be writing editorials at Gamebreaker now. They’ll probably be mostly about GW2 stuff. Hopefully they’ll be weekly as I wrote up something for next week and I have something in mind for the week after. Also, I’m trying to reorganize my sleep schedule but I love sleep so much… anyways I’ll try my best on that front. Also, I’m training for LoL ranked a bit. I really don’t have an interest in ranking myself but… there’s shiny stuff to get! I honestly just want to place Silver somewhere and then get my elo reset so I can redo my placement properly for next season. It’s a bit late to try to go for Gold. Same type of thing going down for Guild Wars 2. The WvW seaon started and I want in on that. Also PvP maps are in development and that might make me play PvP more. So right now, there’s probably nothing new for a little bit. I plan to go through the LoL guides and polish them up and repost the links in one post so it’s easy to navigate through them. I’d like to do some GW2 profession guides but that might take some time seeing that I mainly play a thief. Of course if something really catches my eye, I’ll definitely post about it ASAP. So thanks for following me (if you are), I highly appreciate it. Look forward to more activity in November! I’ll catch you all later! 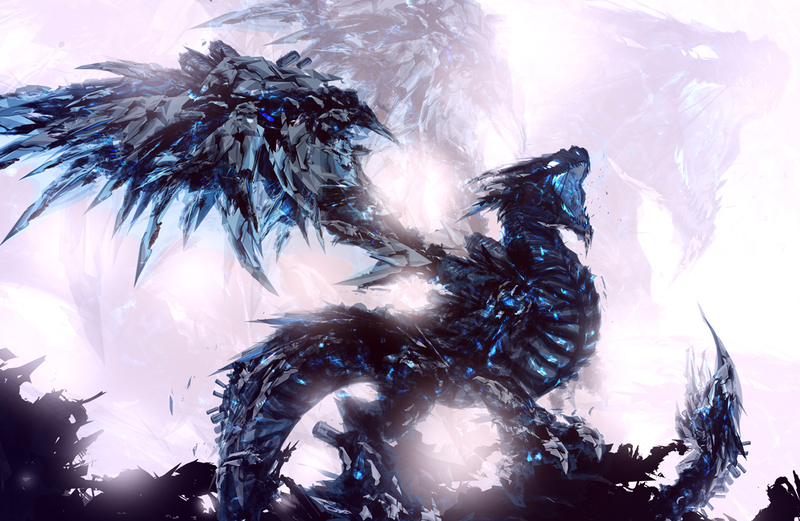 PS: The artwork is called Coldfire by ChasingArtwork. I saw them at Montreal ComicCon 2013 and they had amazing art related to games and comic books. Definitely check them out!